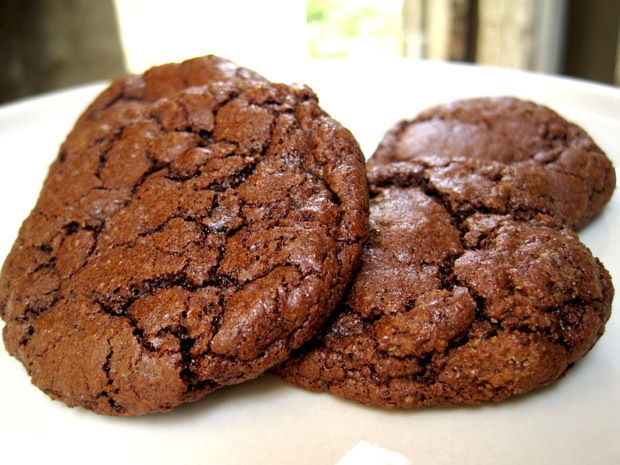 When you’re craving chocolatey goodness with a chewy texture, these cookies are the answer for you. 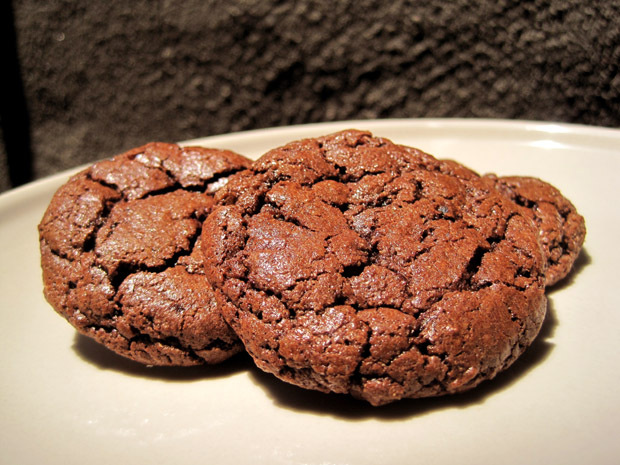 They are simple to make and comfortingly delicious, with a brownie-like texture with a distinct cocoa taste. The crackling with a glossy top makes it especially visually appealing; I didn’t want to mar it with a sprinkling of sugar. I suspect they would be really good with milk; I also crumbled a cookie on top of some Greek yogurt with a spoonful of blackberry jam and it was a pretty yummy parfait. The original recipe seemed like it’d make a pretty large batch, so I reduced it by a third with some hocus pocus and good math skills. Click through to the original link for the full recipe, but feel free to use my version if you have a kitchen scale. Position a rack in the center of the oven and preheat to 350°F. Line 3 cookie sheets with a baking liner or parchment paper. Shape dough into 1 ½ inch balls. Place balls about 2 inches apart on prepared cookie sheets. Flatten the balls slightly with the palm of your hand. Sprinkle sugar over the tops of the cookies. 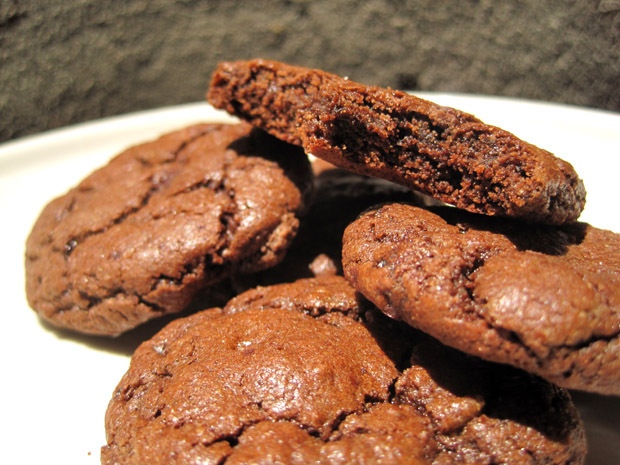 Bake one sheet a time, until the cookies are a bit cracked on the top, 11-12 minutes. Remove from the oven and let cookies cool on the sheet for 5 minutes. Transfer cookies to a rack and cool completely. OMG these are amazing! I added in mini reese’s pieces which were ok but the deep chocolate fudgyness was the show stopper. Will be a go-to favorite recipe. Thank you for sharing!